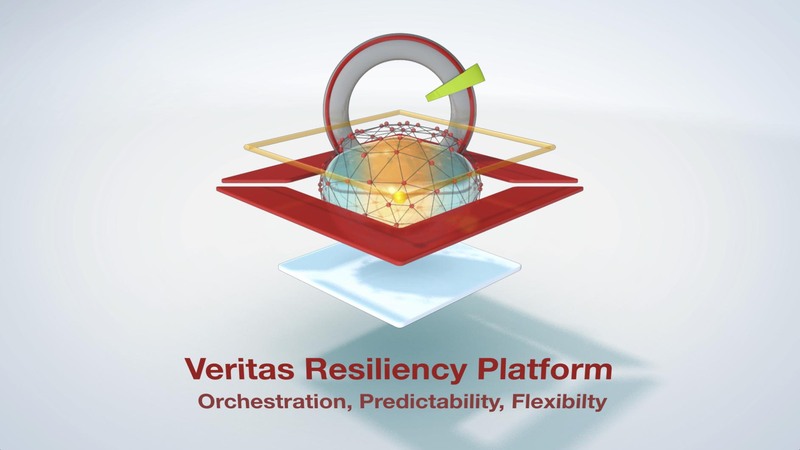 Veritas Resiliency Platform enables IT teams to meet Service Level Agreements with ease and efficiency. 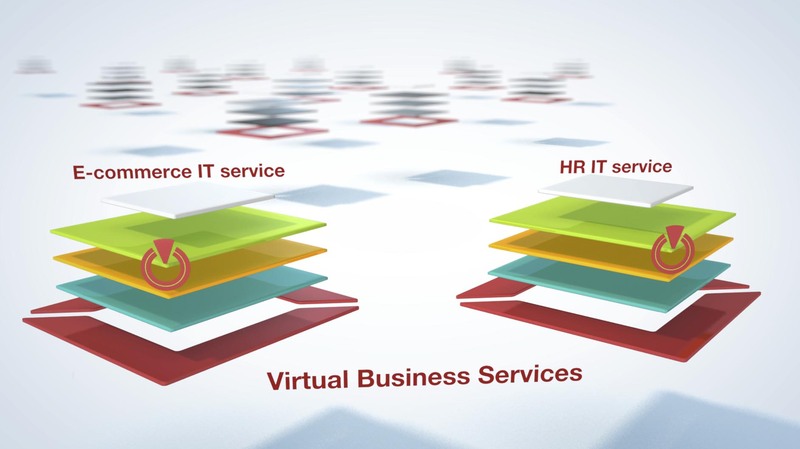 The platform helps manage IT services over across physical, virtual and cloud environments. 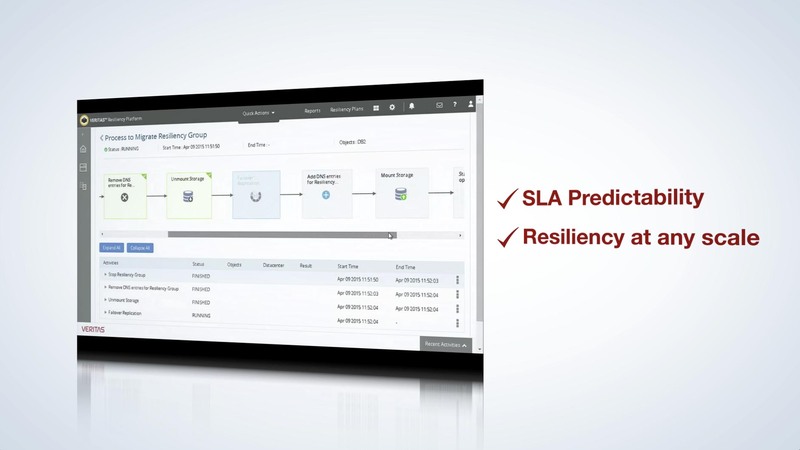 Our main focus was on the depicting of the hybrid cloud. 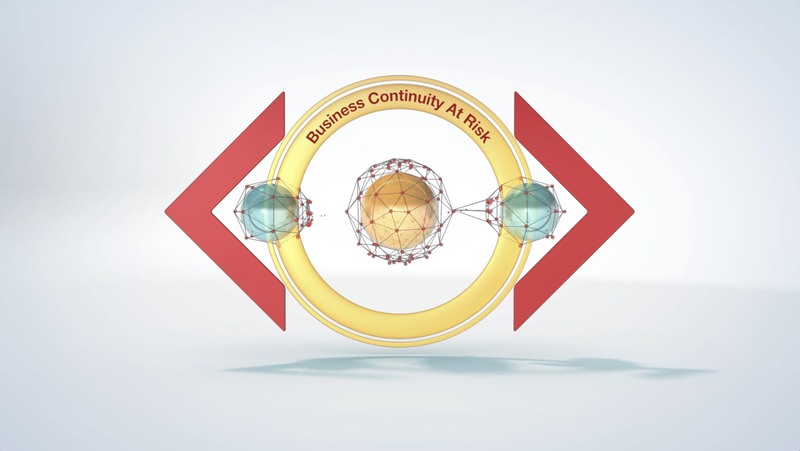 We wanted to create a fluid looking network structure that represents the multiple aspects of the hybrid cloud. Additionally, the icon for the platform was represented as a geometric square that could surround and encompass and analyze the entire network. The visual vocabulary balanced the use of abstract vs. literal representations of IT components. 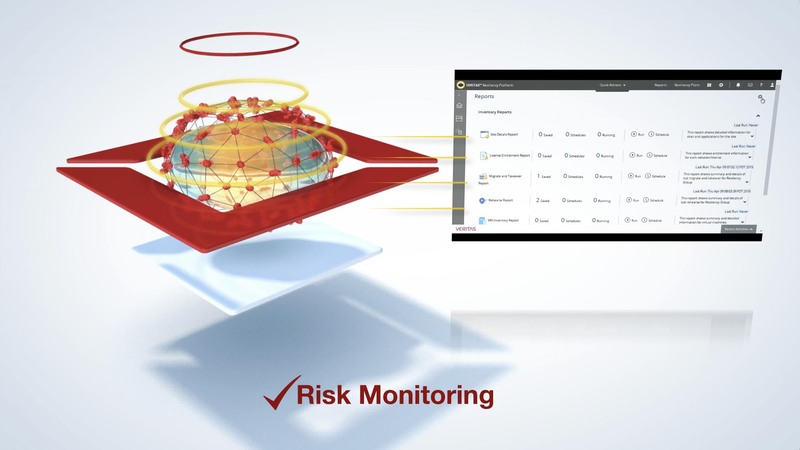 The video included screen captures of the actual interface with supporting textual elements in addition to more abstract graphical elements that represented parts of the network. When Veritas approached us, they had very little in terms of visual branding materials. We fully conceived of the look and feel of this launch video specifically the use of the square elements that would be used as both a transitional element and an iconographic representation of the platform itself. 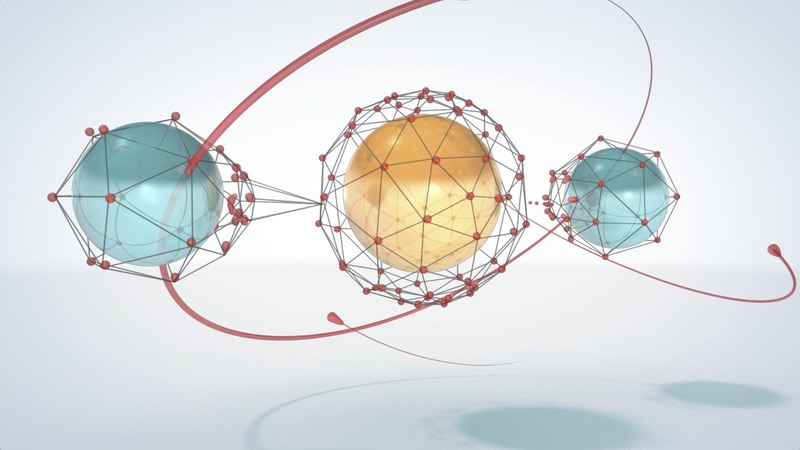 Using clean geometric shapes and simple motion graphics, we clearly depicted the main benefits of the Veritas Platform.